McCartha Family Dentistry is a General Dentistry practice in Newberry, South Carolina with an emphasis on preventive and restorative dentistry. Dr. Robert McCartha received his Doctor of Dental Medicine degree from the Medical University of South Carolina in Charleston, SC. He graduated from the University of South Carolina with degrees in Pharmacy and Chemical Engineering prior to attending dental school. Dr. McCartha has been in this location for 25 years. 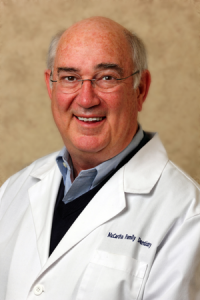 Dr. McCartha has been married to Kathryn Barr McCartha for 41 years and they have two children, a son – Dr. Douglas McCartha (Orthodontist) and his wife, Mary Catherine and a Daughter – Frances Meetze and her husband, Kyle. Bob and Kathryn have 4 grandchildren who know them as “Doc” and “Nanna”. Patients of McCartha Family Dentistry understand and appreciate that he strives for excellence in all aspects of his practice. He is a member of the American Dental Association, the South Carolina Dental Association and the Greater Columbia Dental Society. He enjoys taking continuing education courses on many topics. He is an active member of Central United Methodist Church and enjoys traveling, golf, and hunting in his free time. 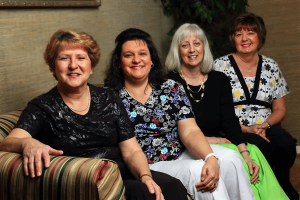 Dr. McCartha takes pride in his experienced staff – Office Manager – Stewart, Assistant – Jamie, and Hygienists – Cindy and Denise. Together they embrace their mission of providing high quality dental services to their patients, focusing on preventive and restorative care, using the latest in technology and state of the art techniques and materials.